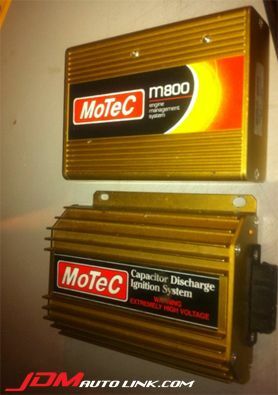 We have a pre-owned Motec M800 and a Motec CDI (Capacitor Discharge Ignition System) for sale. The M800 is a versatile, race-bred ECU that is suitable for almost any application including modern engines with up to 12 cylinders. It also suits rotary engines with twin, triple or quad rotors. It offers maximum sophistication to control the latest automotive advances, such as continuously variable camshaft timing and drive by wire throttle, while maintaining the flexibility to suit a range of users. This highly advanced ECU is ideal for professional motorsport and integrates seamlessly into a complete engine management and data acquisition solution. Pairing with the M800 is a 4 channel Motec CDI (Capacitor Discharge Ignition System). 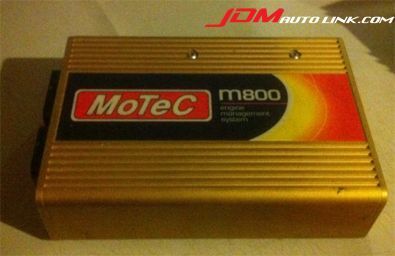 You can find more information on both products at the MoTeC website at http://www.motec.com/. If you are interested in these top of the the line ECU, shoot us an email at sales@jdmautolink.com. what function enabled on the M800 ? as well come with harness ?